Broken promises to the Maine senator should be enough to cost Republican leaders her vote. Republican leaders in Congress could be doing the nation a big favor by reneging on the promises they made to Sen. Susan Collins when they were trying to secure her vote on the tax bill. 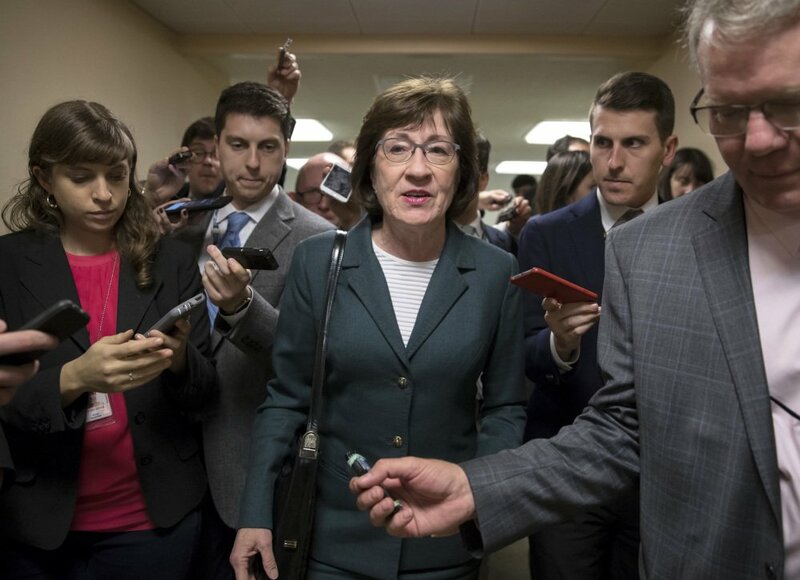 When she gets another chance, Collins should vote against the bill that’s now being negotiated in a House-Senate conference committee and stop this process before it’s too late. There is no shortage of reasons for her to withdraw her support. Conferees are looking for the middle ground between two bad pieces of legislation, either of which would explode the national debt in order to fund tax cuts for corporations that are enjoying near-record profits and individuals in the richest 1 percent who have gobbled up most of the growth since the Great Recession. The changes Collins demanded for her vote wouldn’t be enough make this a good bill. But losing her vote would put it on the brink of collapse. So far, the leaders have done more than enough to alienate her. The biggest take-back is the “ironclad” commitment Collins got from Senate Majority Leader Mitch McConnell and House Speaker Paul Ryan that passage of the bill and the explosion of the deficit would lead to automatic cuts to Medicare, under what are known as “pay-go” rules. McConnell and Ryan say they expect those rules to be waived, as they have been in the past, but the promise is a very temporary one. Despite the agreement, Ryan has said that early next year he plans to pursue cuts to Medicare and Medicaid, affecting health coverage for the elderly, disabled and poor. Collins also received promises that two bipartisan health care bills would pass in conjunction with the tax bill: one that extends some cost-sharing subsidies for two years, and a second, which she sponsored with Florida Democrat Bill Nelson, that would create a reinsurance fund to help states put a lid on premiums. But Ryan says that he was not a party to that deal, and House Republicans in the right-wing Freedom Caucus say that they won’t support any legislation that would prevent the collapse of individual insurance markets that are organized under the Affordable Care Act. Collins wants these bills in the package because she believes they’d offset anti-Obamacare provisions in the tax bill that would result in a decade of annual 10 percent increases in the cost of health insurance on the individual market and leave an additional 13 million Americans without health insurance. Failure to follow through on these measures should be enough to get a “no” vote from Collins. Other promises, regarding the local property tax deduction and pension tax relief for retirees from charitable organizations, are also at risk because some Republican House members don’t approve. Collins should not reward the tea-party right or President Donald Trump’s Wall Street insiders by voting for a bill that does so much for so few who don’t need it. If leadership is offering her an escape route, she should take it.